Facebook Tips and Tricks: 5 Sure Ways For Any Business Fan Page To Succeed !!! 5 Sure Ways For Any Business Fan Page To Succeed !!! Business Fan Pages needs professional look and design for customers to find something interesting on it. Every businessman wants is popularity and success in the field. He tries out many ways in the online world. But sometimes it is not fruitful. To flourish any business online, it has to be properly channelized with good content, useful stuffs, useful information, encouraging fans and visitors, etc. While taking care of all these, one may think that still there is something lacking to get that particular success. Success not only means that getting more and more likes on the fan pages, but also more than this, how they give you the response and how they bring in more visitors. One like and one share will attract more. Because one person is associated with many friends and if that particular has many friends and followers, then surely the fan page is going to be successful in getting more visitors who can turn to be customers. I have listed some important ways to follow that will give you sure success in flourishing your business on Facebook. Add Google Calendar Tab: One may think what is the use of this on the fan page. But remember your Google account is flooded with many schedules and important events. Why don't you make use of this and inform your fans that there is so and so event. The information will be given by Google Calendar Tab. QR Code of Like button : A best way to get potential customers. 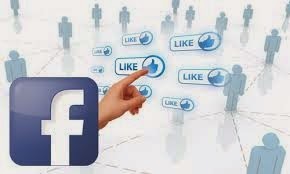 Well your fan page "Like" button plays an important role to showcase your fan page. Thousands and thousands of likes means, your fan page is more famous publicly. To grow it more, create a QR code of "Like" button of your fan page. With this you can grow your business via QR code. Display Facebook Business Card on your Gmail and Twitter accounts: Another great way to help yourself getting more customers, is by creating a Facebook Business Card and distributing it where you meet other people or attend conferences. Feedback from visitors: To know what customer is searching for and what exactly he gets in your store is something what you always need to know. To have a brief points of all this, you can either add a feedback form in your fan page so that people can fill. These few ways will surely help you in getting more public to your business fan page.Involve all these 5 important tricks to get more customers to Facebook Business Fan page.